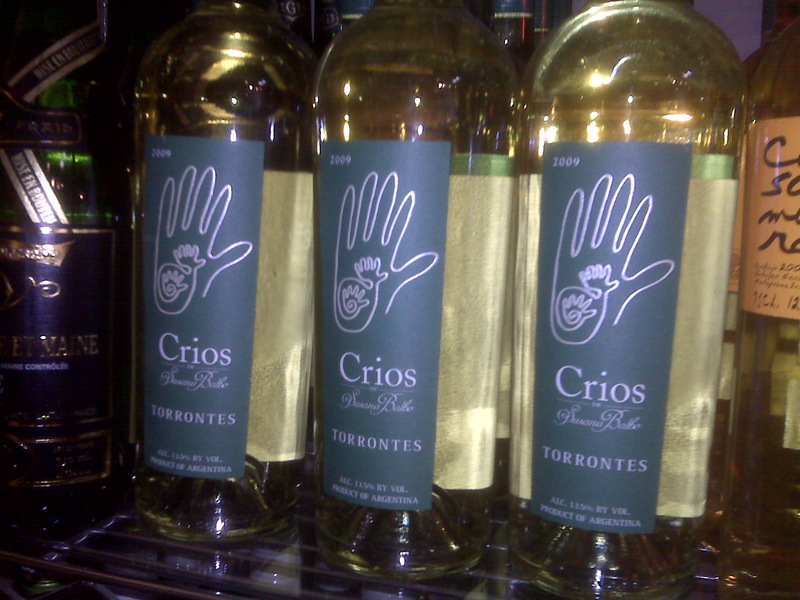 Crios Torrontes, 2009 Argentina | the wine snob. A brief apology for my lack of posts the past few weeks. April was a busy month around Cellar with lots of catering going on, people going on vacation, and a host of other things to keep me occupied. In particular- I was busy writing an article for May’s edition of undefined magazine! http://undefinedmagazine.com/ So keep a lookout for it- it’s my first time being published and I’m excited and a little apprehensive. The theme of the column is “indulgence,” and I think it came out pretty well. So this week’s pick! A favorite of mine for years. Another go-to summer crowd-pleasing wine from a very consistent Argentine producer, Crios- made by female winemaker extroidinaire Susana Balbo. Susana has a pretty awesome story- after working as a winemaker and consultant for 25 years (among them Bodegas Catena Zapata), she founded, designed, and constructed the Dominio del Plata winery in 1999 with her husband. The winery puts out several different labels- Ben Marco, Susana Balb0, Nosotros, and finally the Crios line, whose full name is Crios de Susana Balbo- meaning “offspring.” The Crios wines are intended to be consumed young, as they offer a more lively and fruit-forward characteristic (and an awesome pricetag, to boot!) while her other “high end” offerings are definitely cellar-worthy. I am partial to wines that are meant to be consumed now. I like that they defy tradition a bit, challenging the old-world notion that good wine requires patience and reticence. I have several bottles at my house (no, I don’t have a cellar or even a wine refrigerator, just a wine rack) that I intend to save- but sometimes I look at them and just think, when? really, WHEN am I going to drink these? I appreciate wines that carry the philosophy that NOW is the time. Why wait? Just do it. Drink it. So yes, with summer now poised to rear it’s muggy head, I think you should DRINK this Torrontes! At $14 a bottle, you really can’t find a better expression of this great little grape. Exquisitely fragrant, it smells like you’re sitting in the middle of a spring garden in full bloom. Notes of spices and honey are fully present, too- and at Cellar we collectively decided that we get a distinct “white gummy bear” scent as well. Everyone knows they are the best gummy bears. With all that going on, you’d think it was a sweet wine, but in fact it’s a medium-bodied, slightly tangy taste you get, with great acidity and a slight dryness. Awesome. Jay Miller from The Wine Advocate gave this vintage a cool 90 points! And remember, it’s only $14 a bottle retail at Cellar. We’re also pouring it by the glass, so you can cool off with a glass at any point without committing to a bottle. I promise to get back on the once a week blogging track. 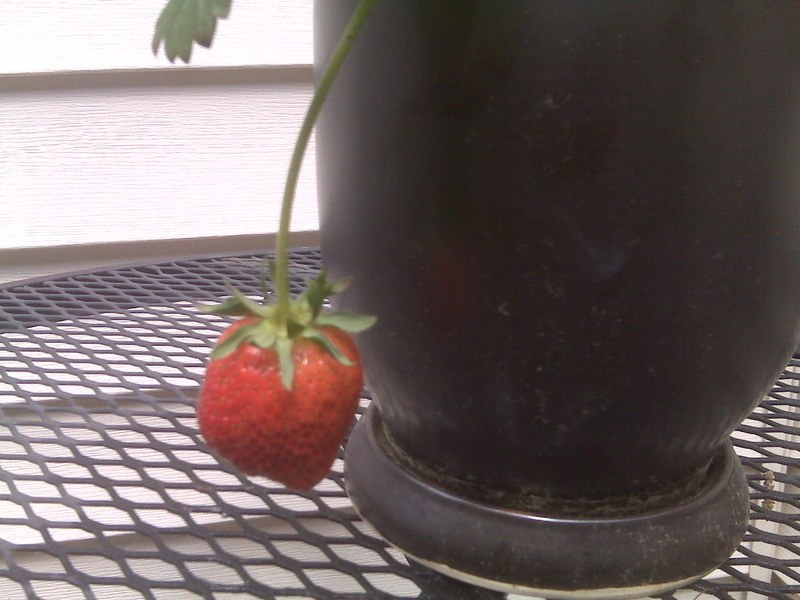 In closing, here is a picture of the first strawberry ripening on my strawberry plant! Yup, I’ve managed not to kill it yet! Happy summer, drink wine, eat strawberries! Cheers! Love the Rose of Malbec! Thanks for reading!